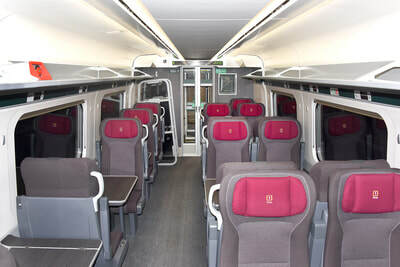 802003 and 802004 Pistoia 9 February 2018. 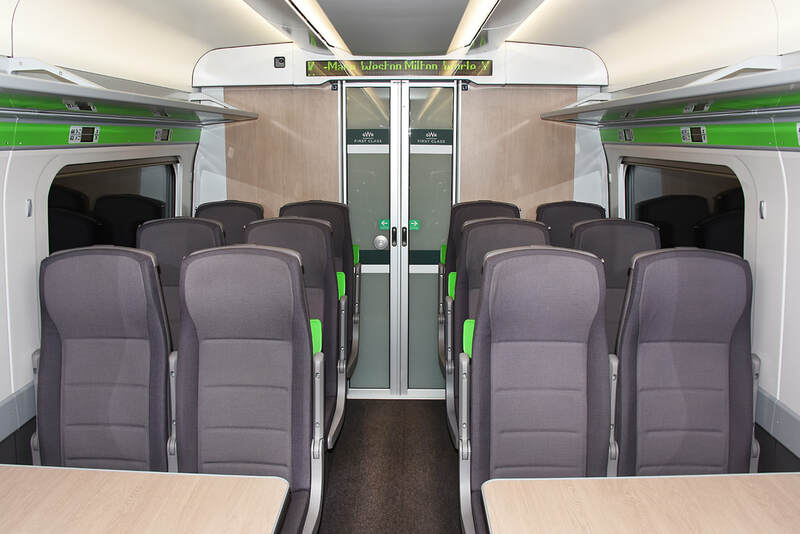 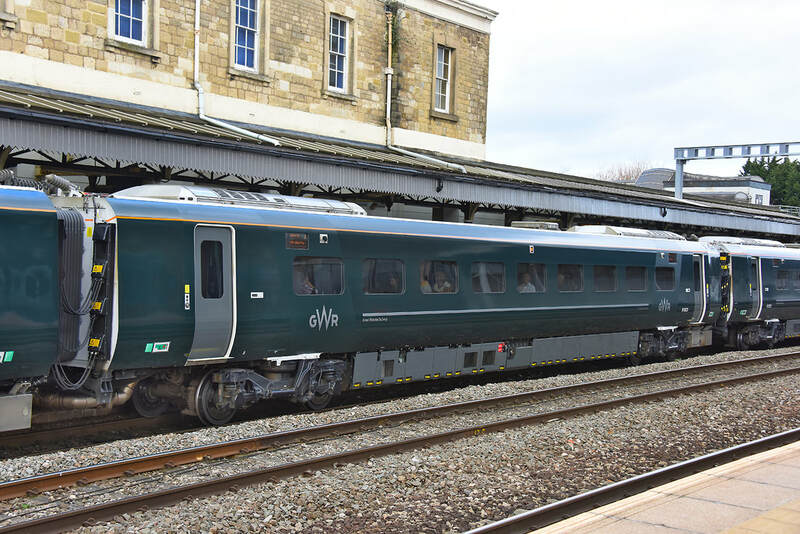 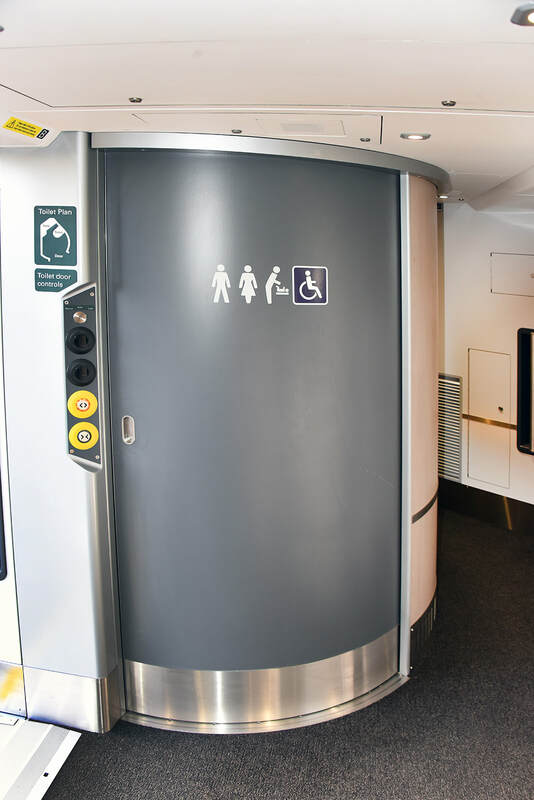 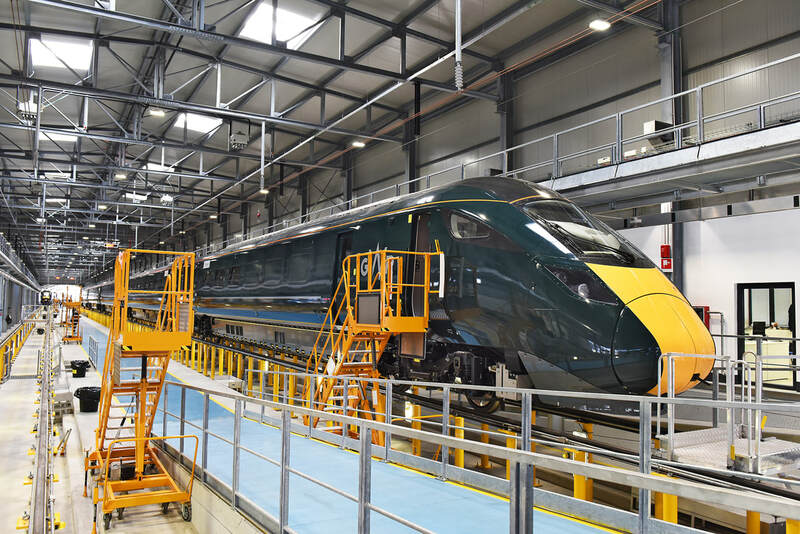 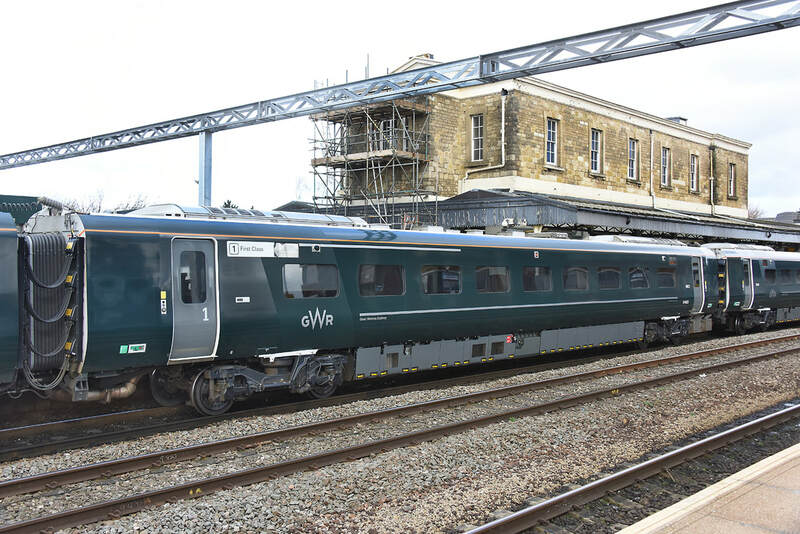 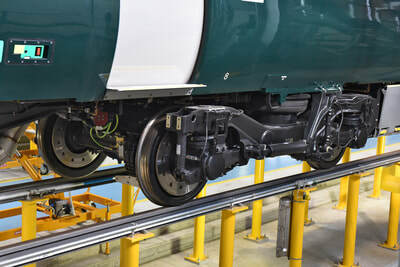 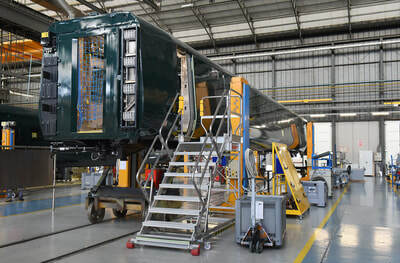 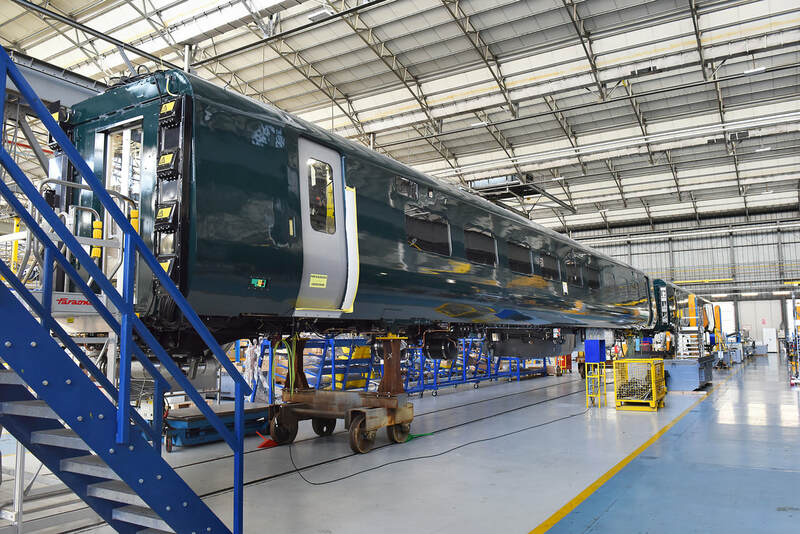 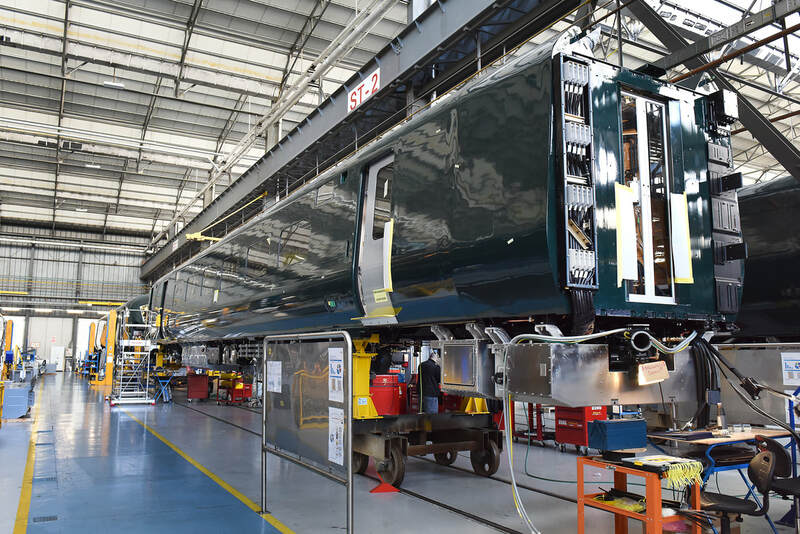 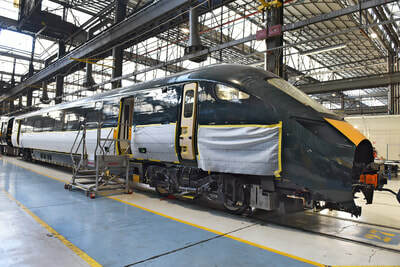 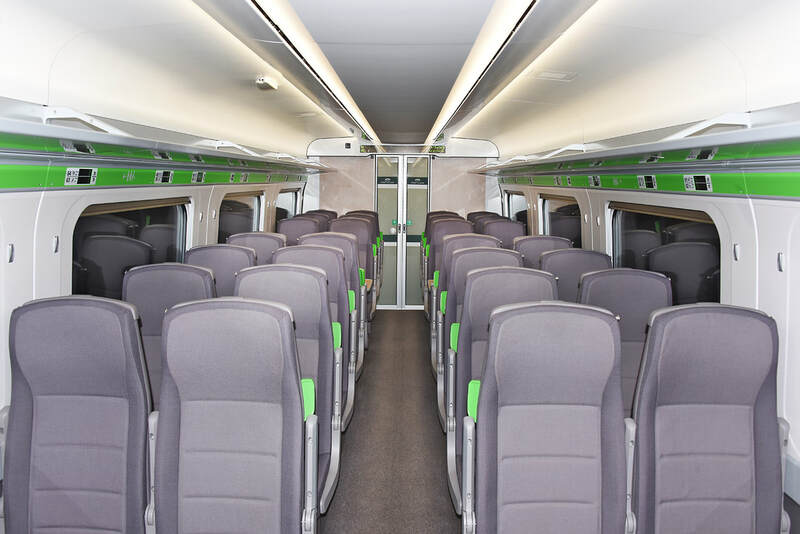 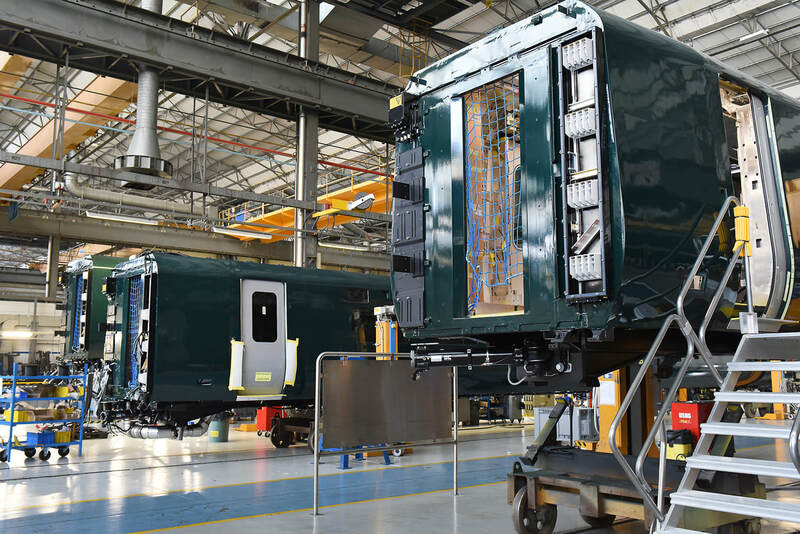 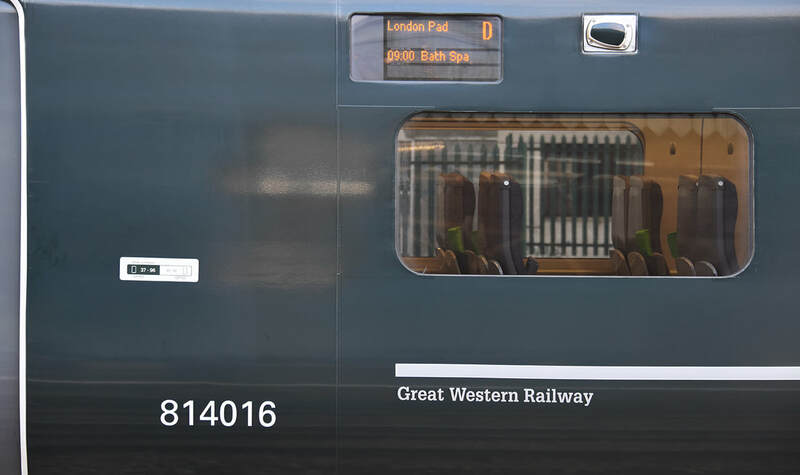 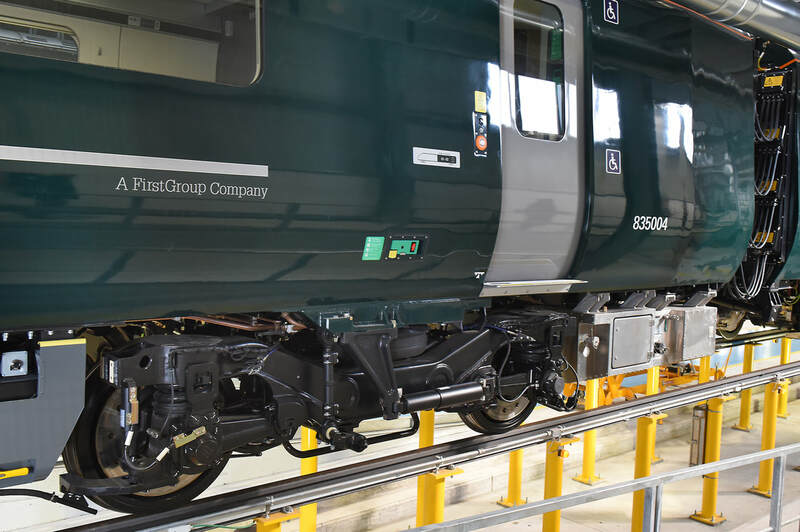 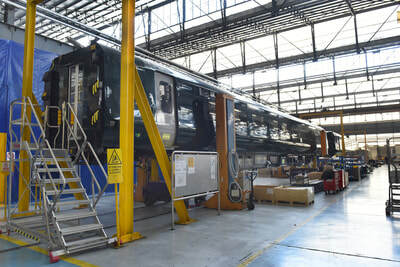 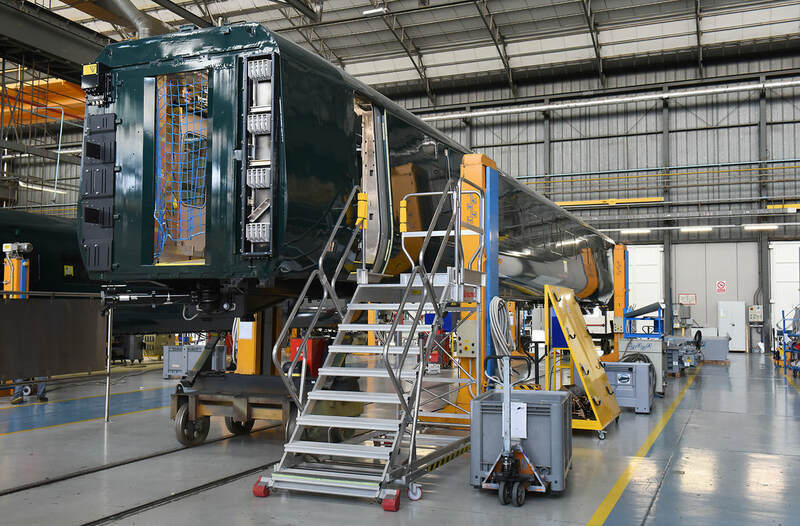 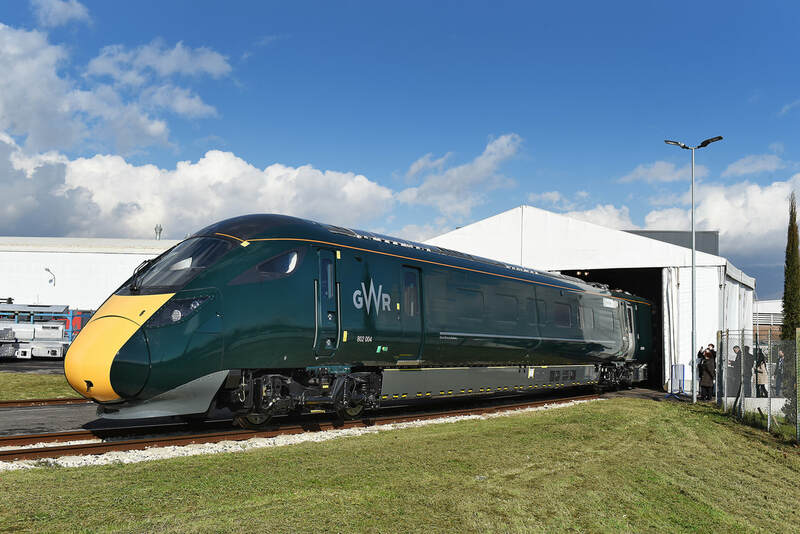 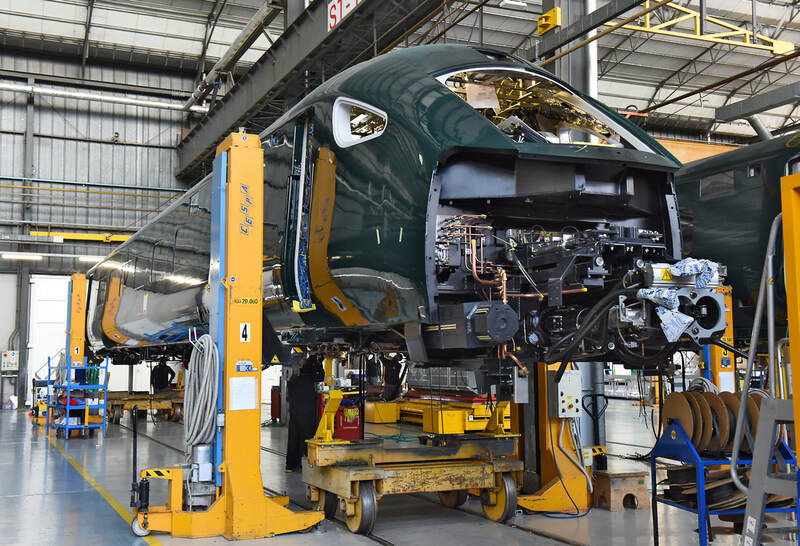 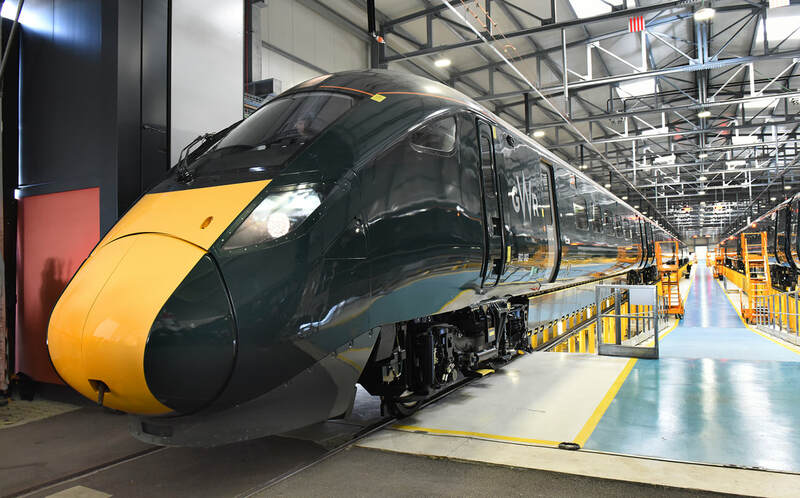 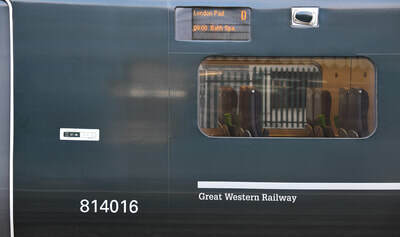 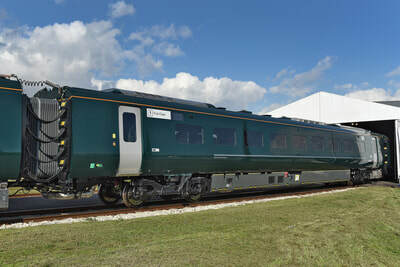 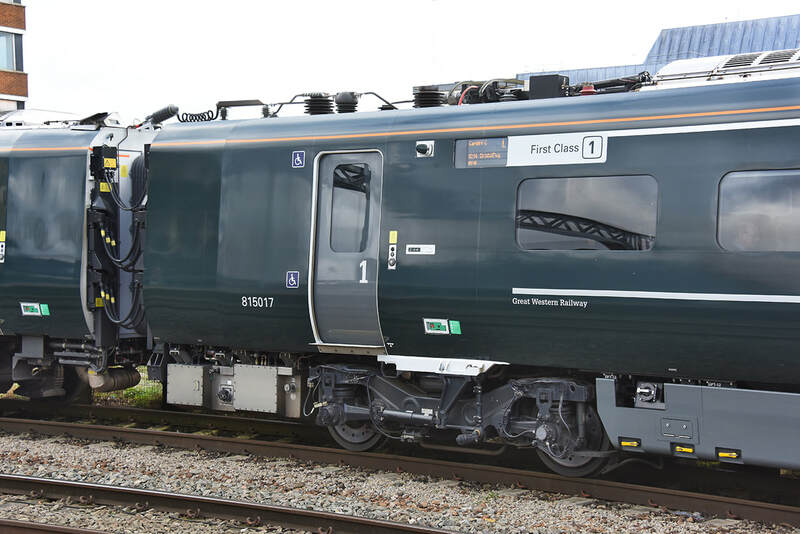 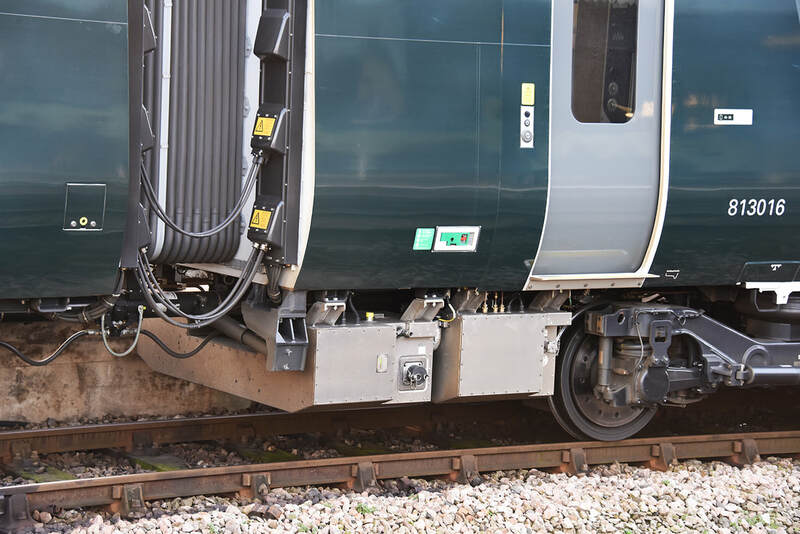 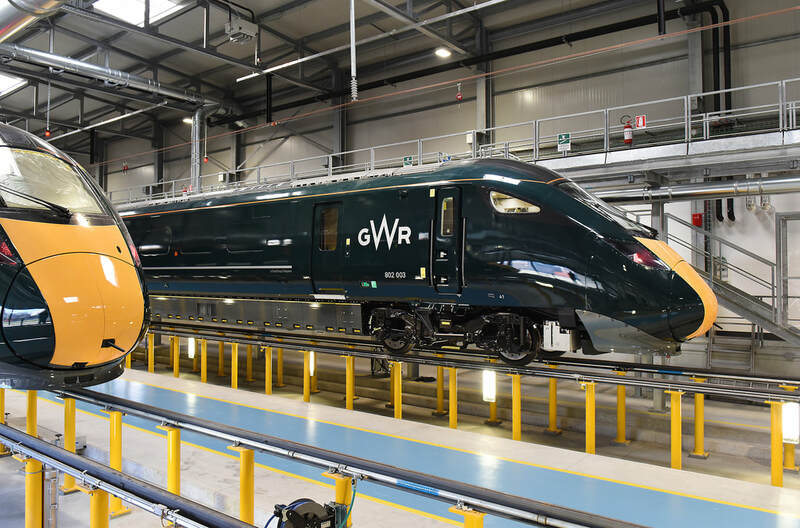 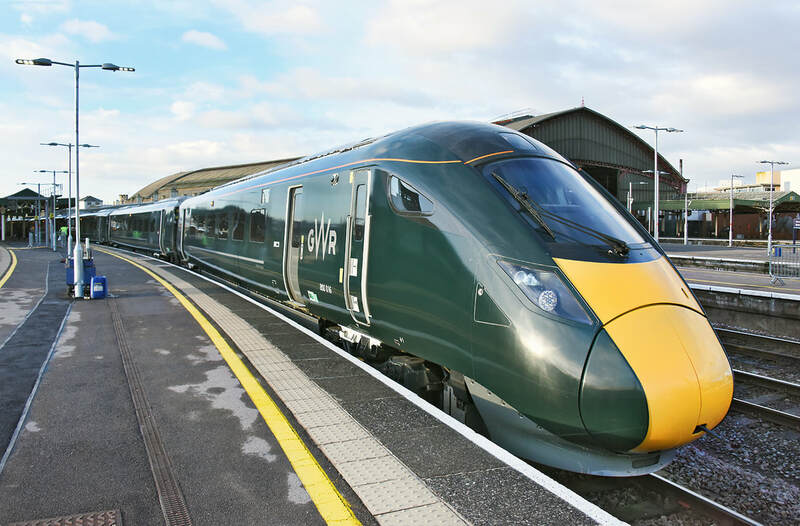 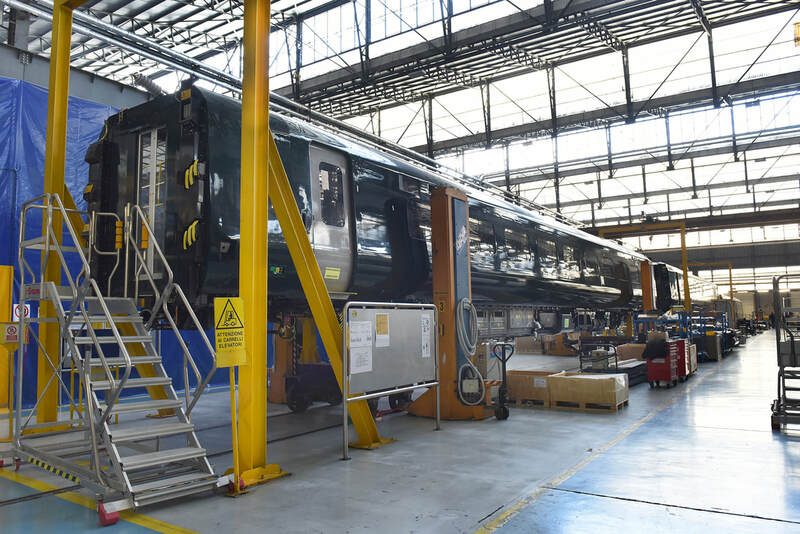 Following the recent introduction of Great Western Class 800s into passenger service, I have put together a gallery of these trains in action, as well as showing details of fixtures and fittings. Further images will be added. 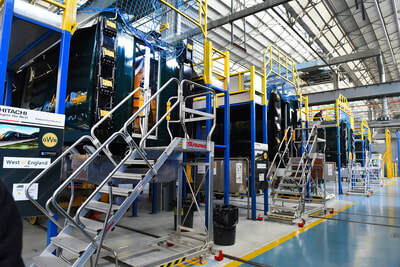 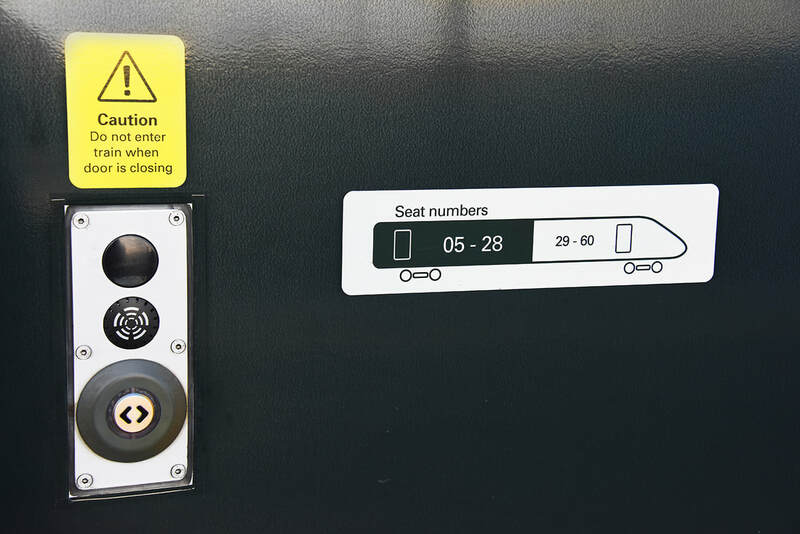 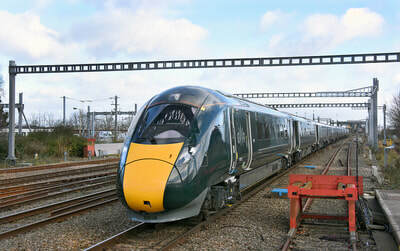 Five-car Class 800/0 No. 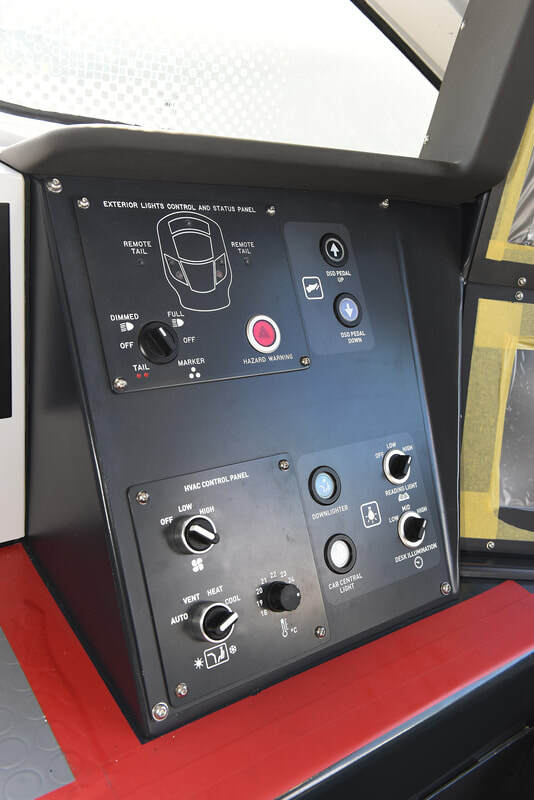 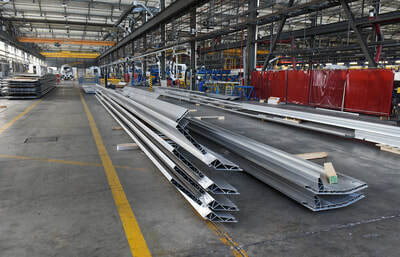 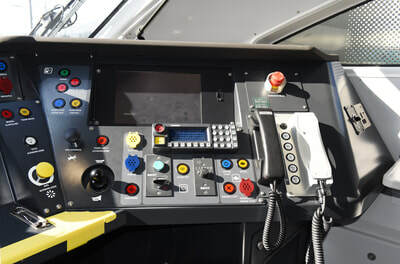 800024 lrsds set No. 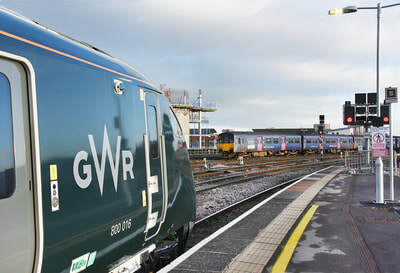 800025 out of view at at Swindon on 1 February 2018 forming train 1L48, the 09.29 Swansea to Paddington. 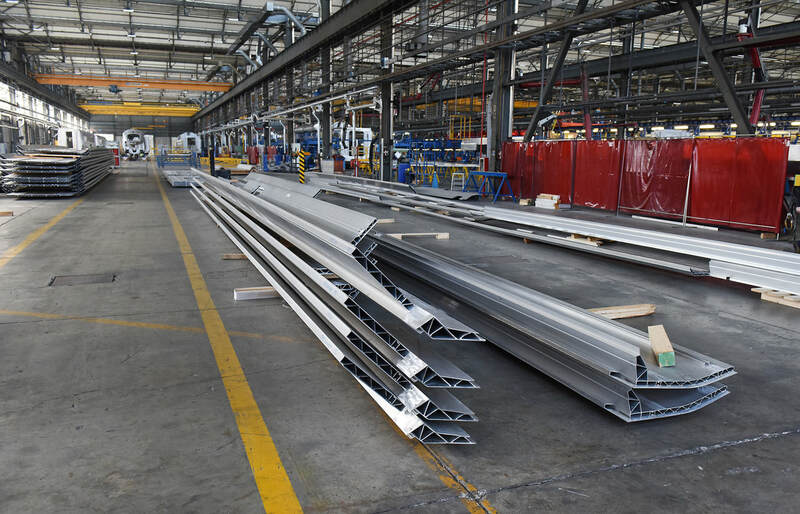 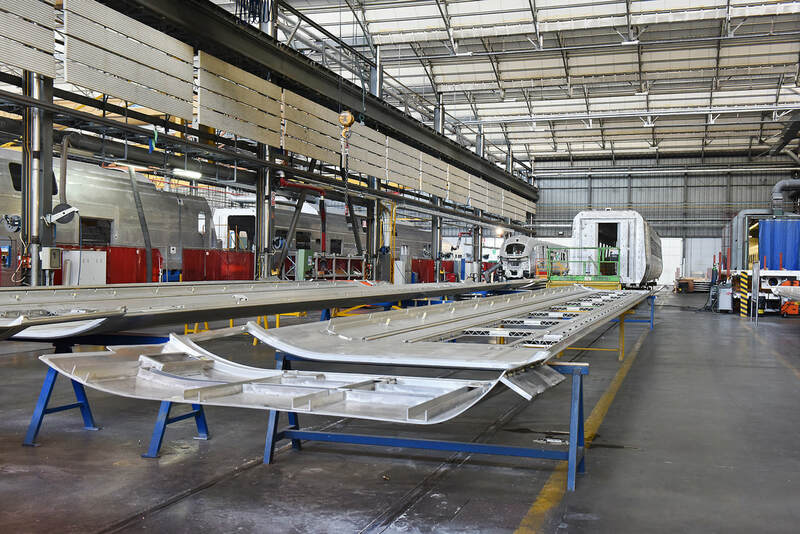 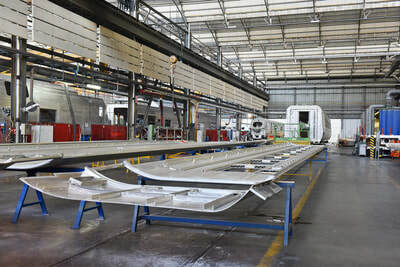 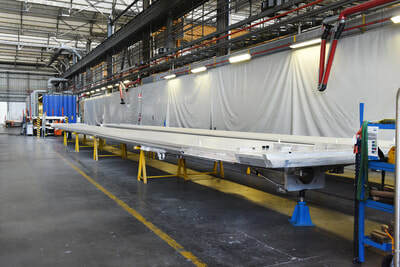 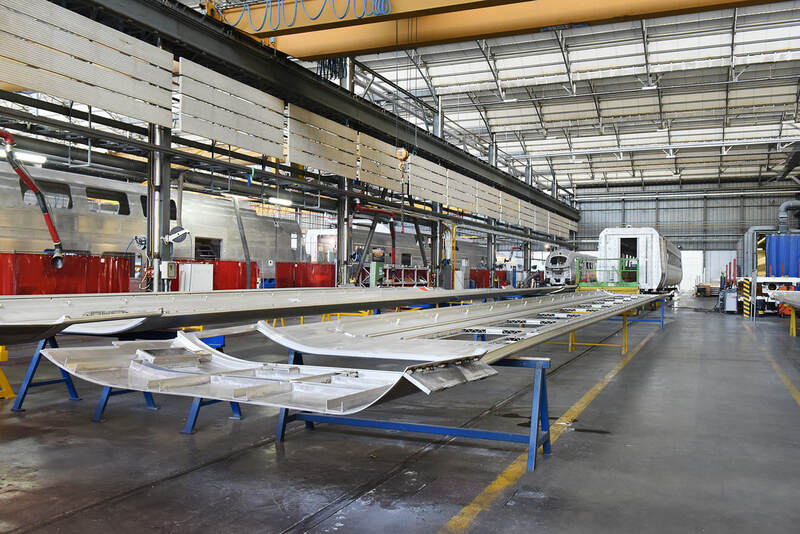 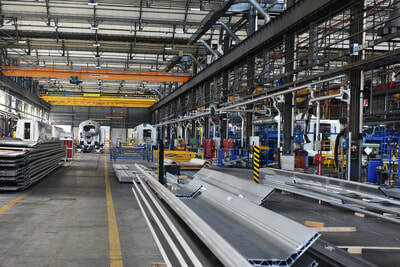 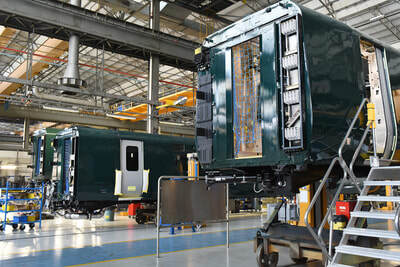 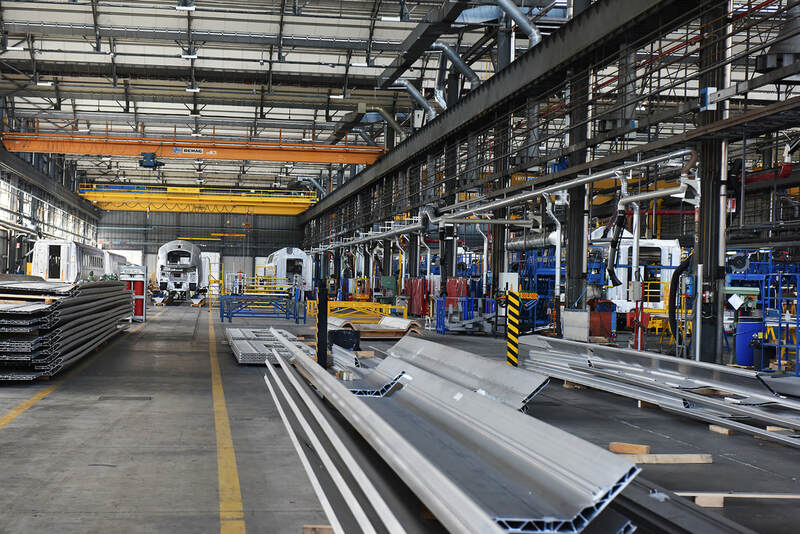 Led by Class 800/0 No. 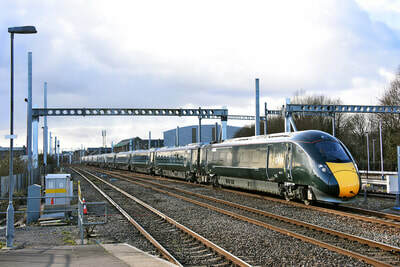 800020 with set No. 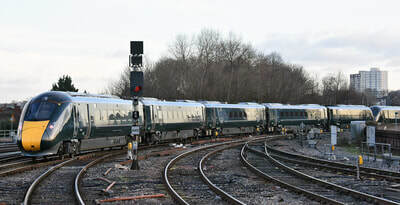 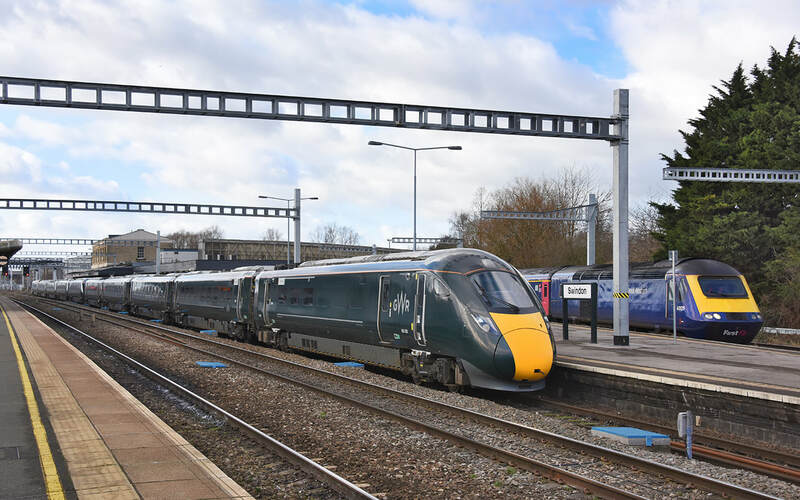 800013 on the rear, the 10-coach formation approaches Swindon on 1 February 2018 forming train 1B25, the 10.45 Paddington to Swansea. 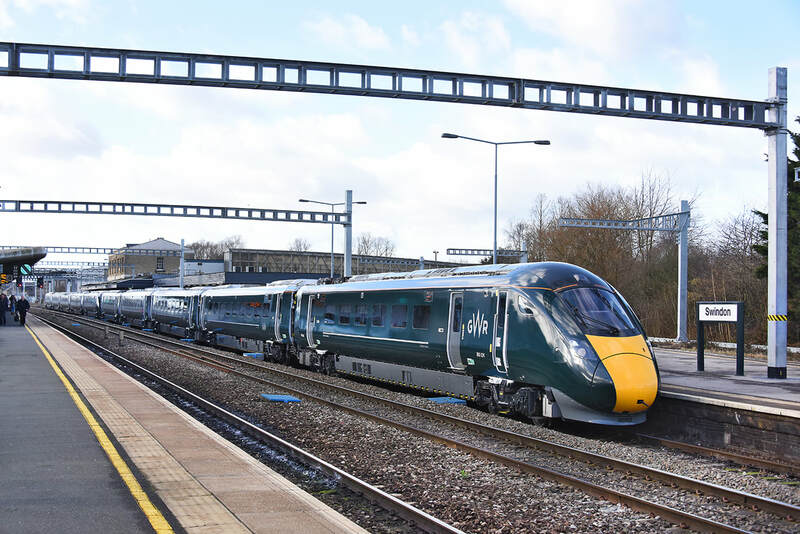 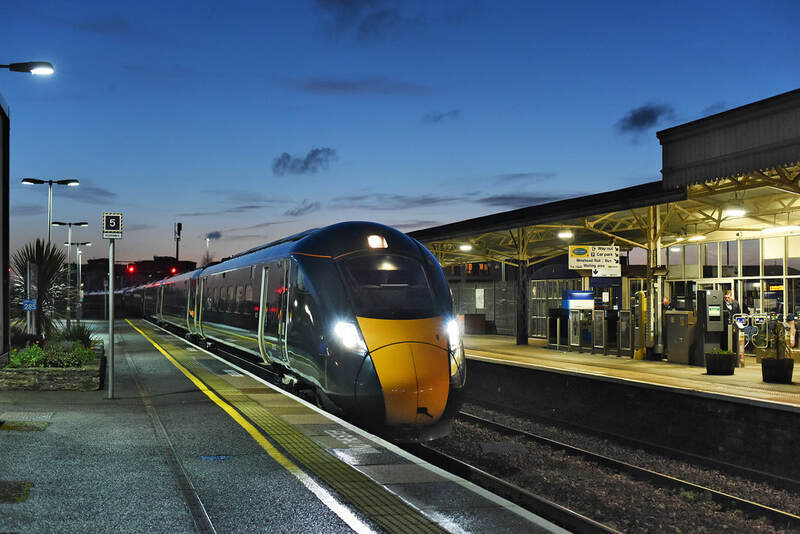 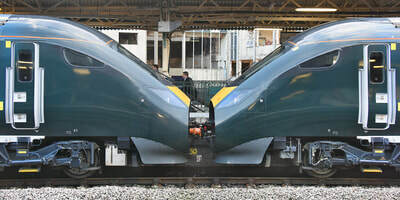 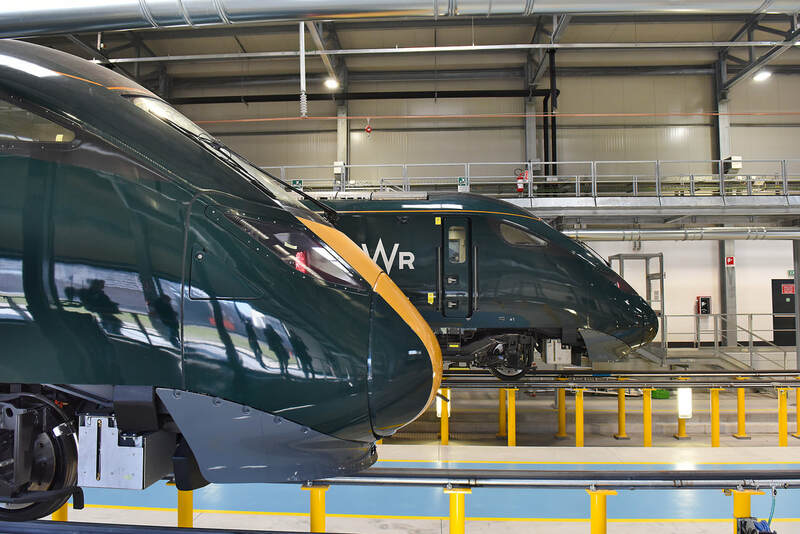 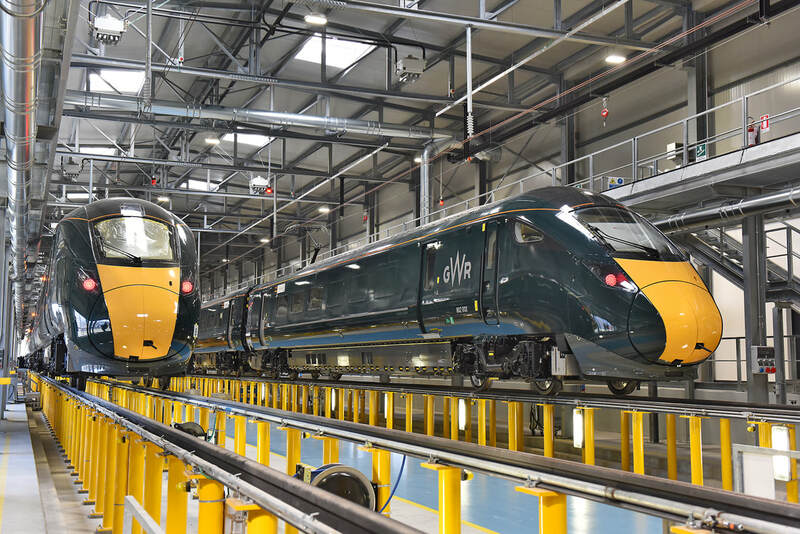 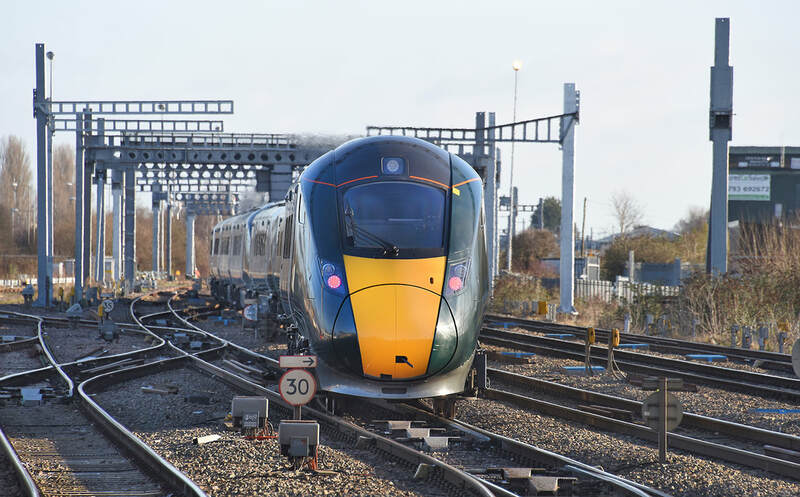 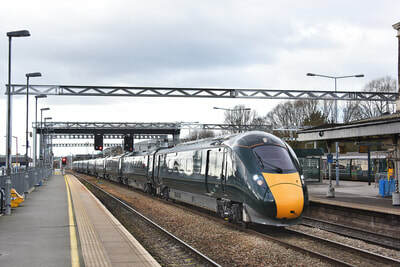 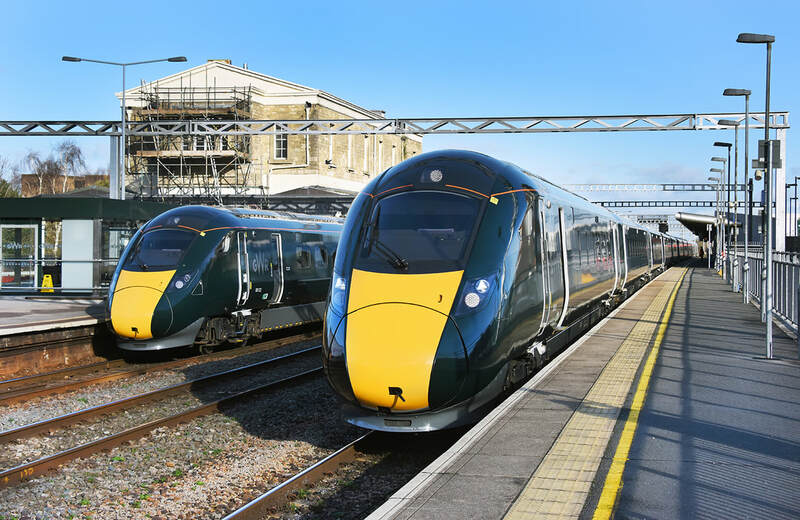 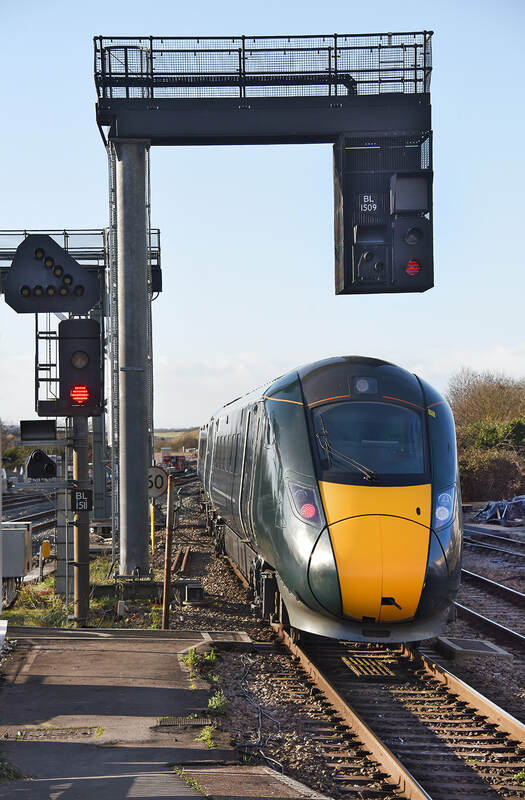 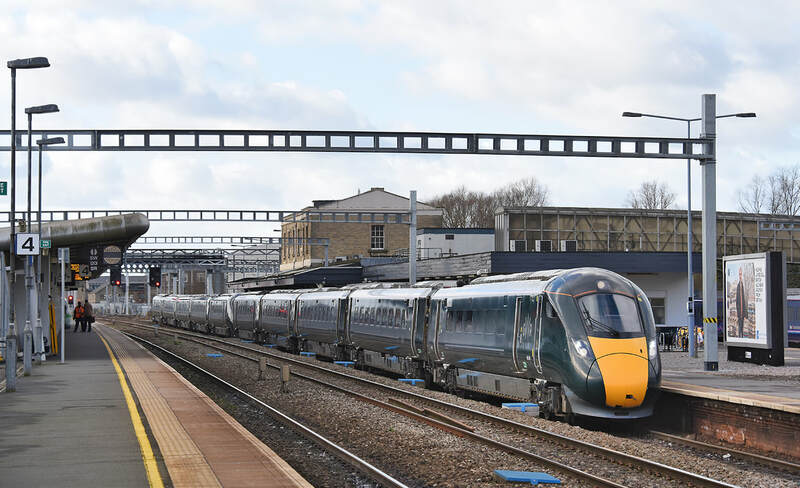 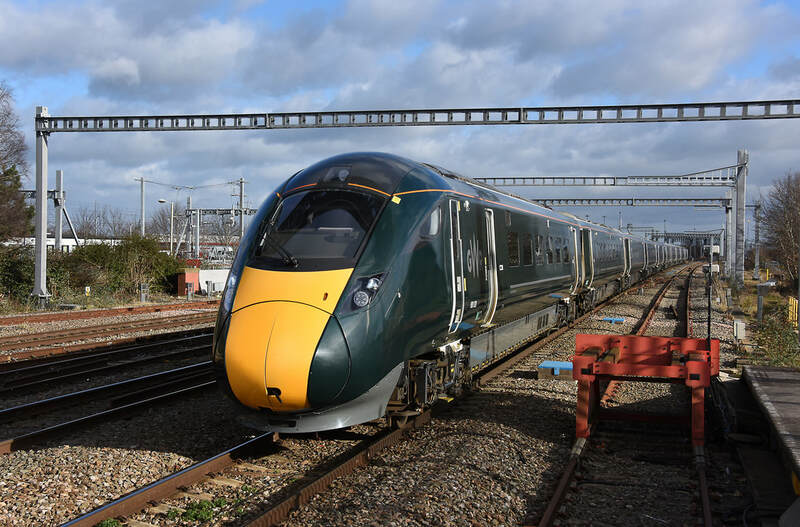 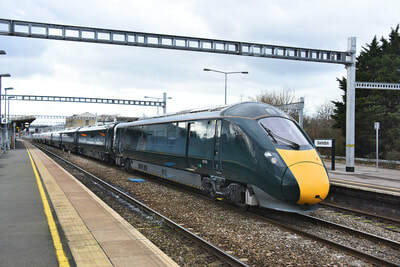 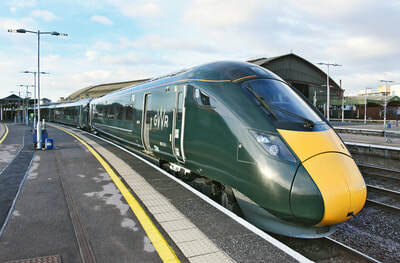 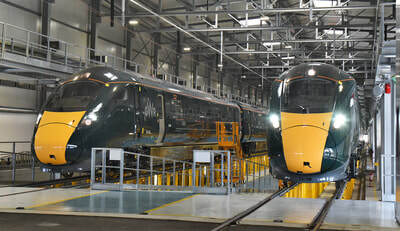 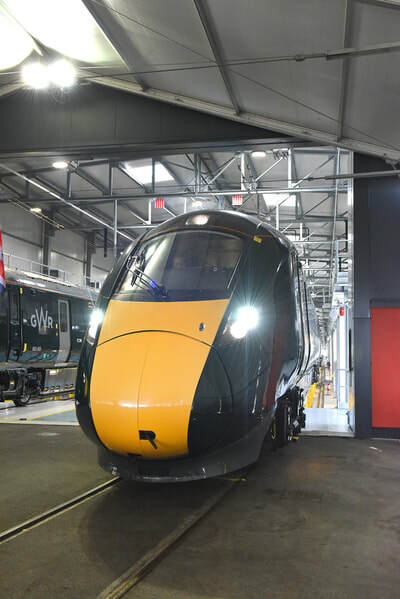 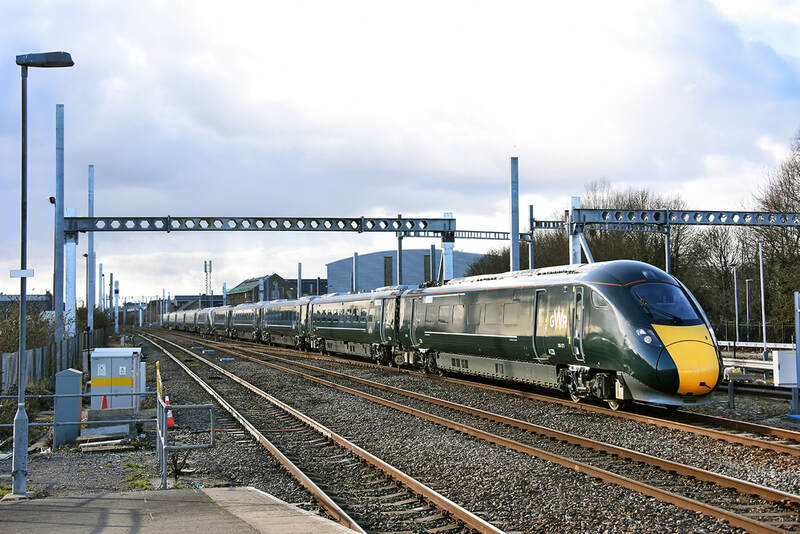 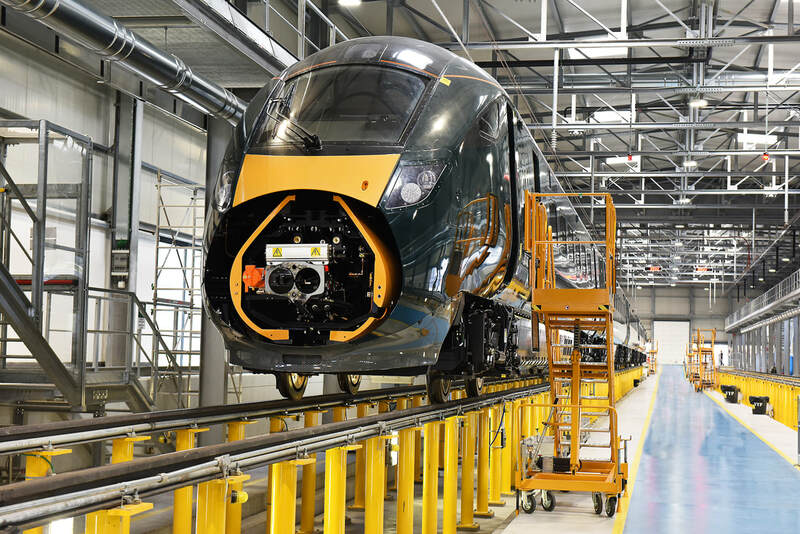 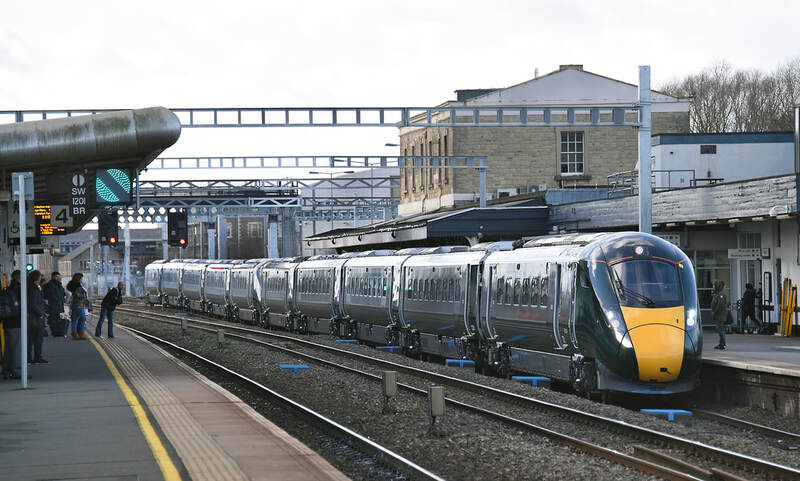 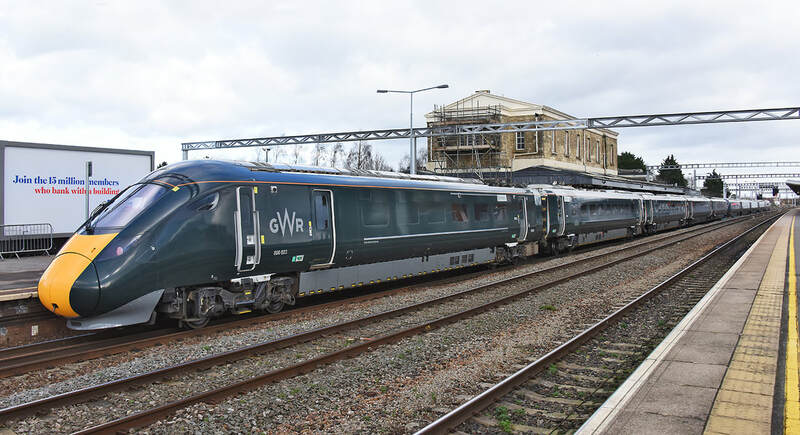 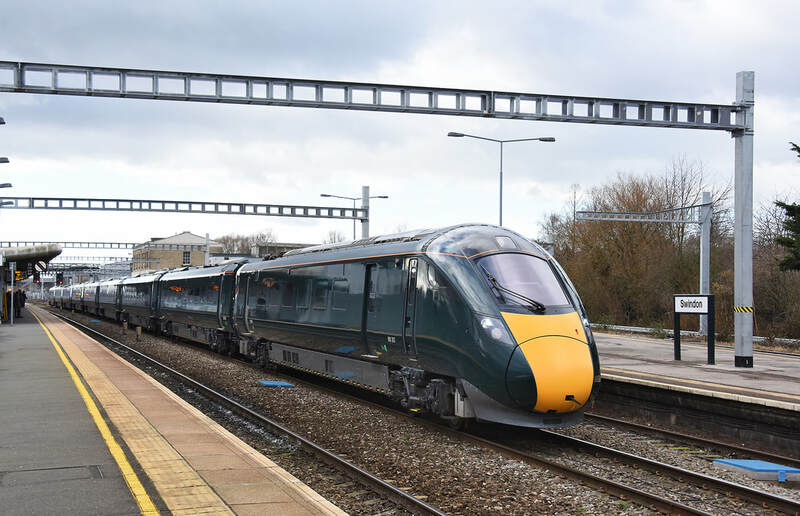 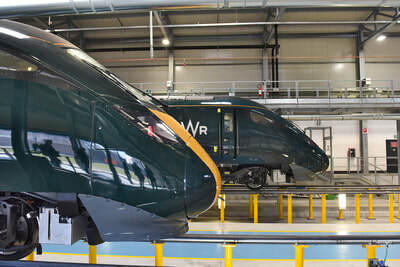 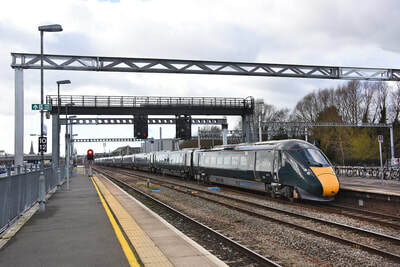 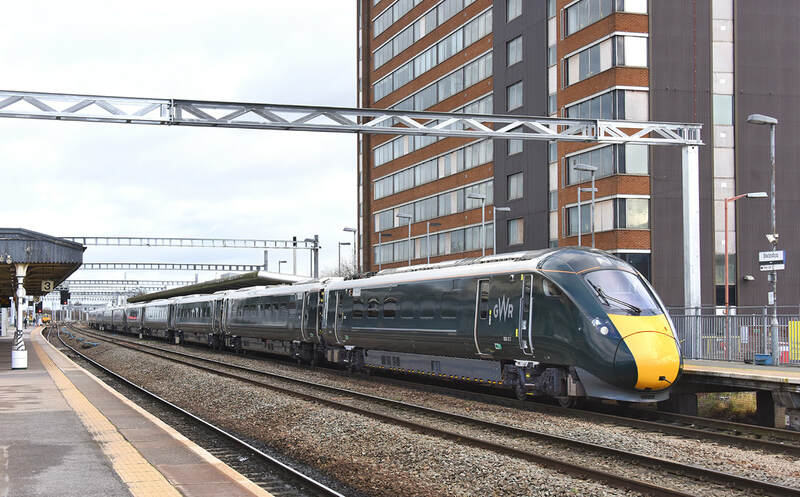 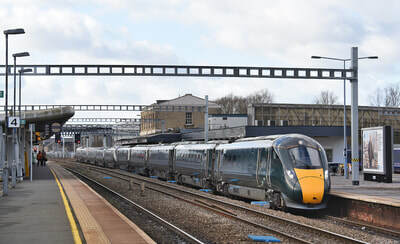 A Class 800 meet at Swindon. 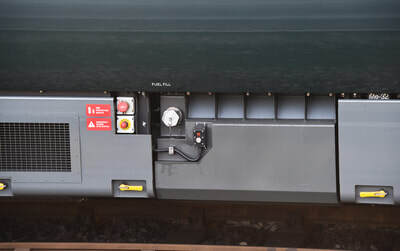 On the left, Nos. 800022 and 800021 await departure from platform 3 at Swindon on 1 February 2018 forming train 1L60, the 12.56 Crdiff Central to Paddington, while on the down platform line No. 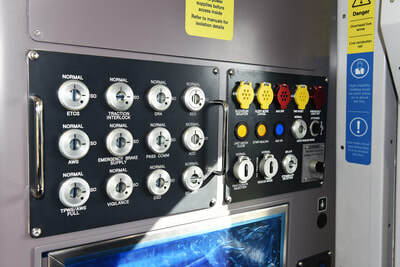 4, sets Nos. 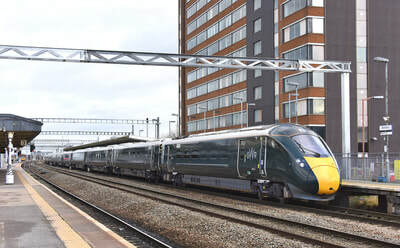 800025 + 800024 arrive with train 1C15, the 13.00 Paddington to Bristol Temple Meads. 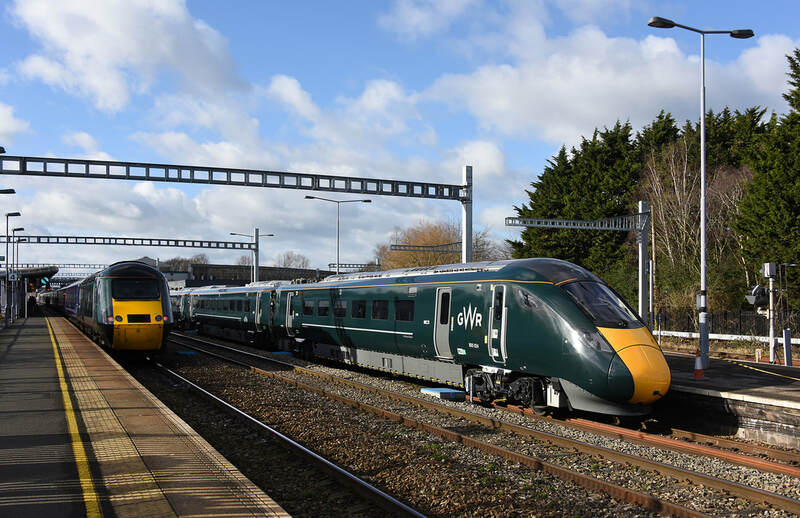 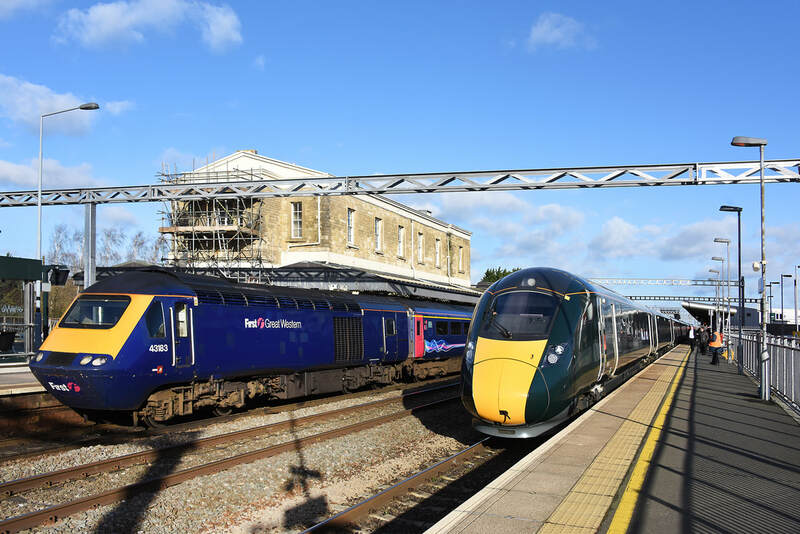 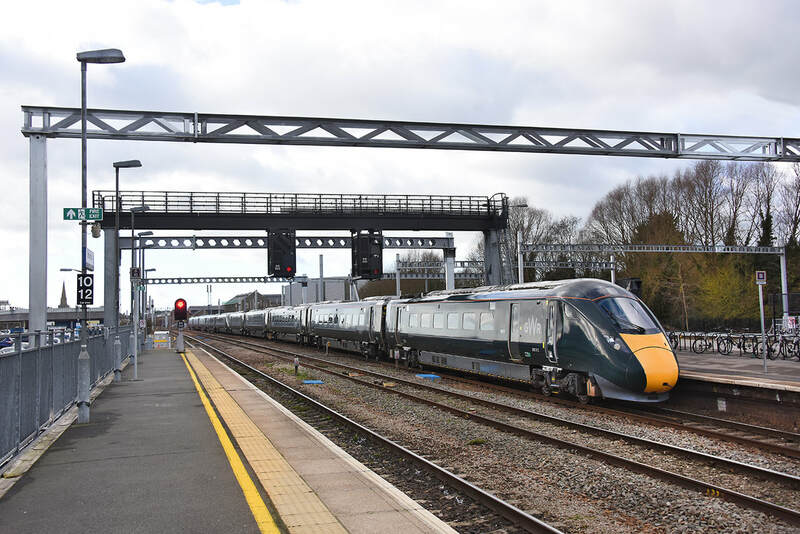 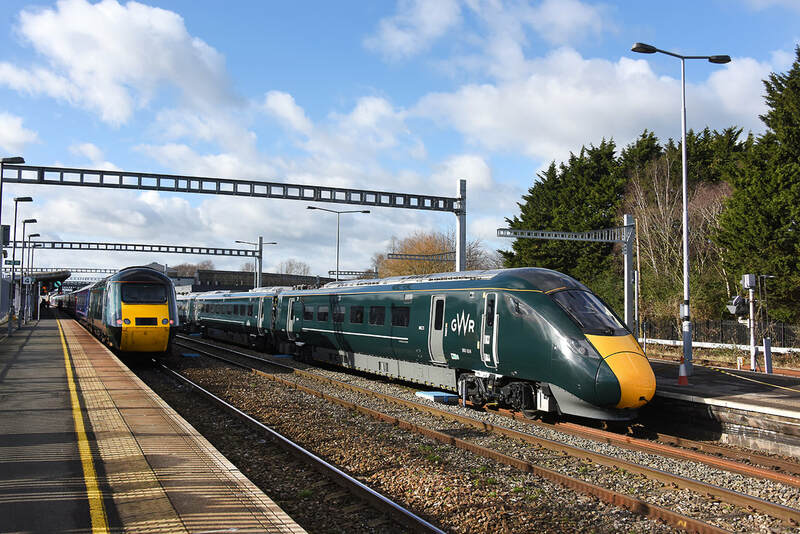 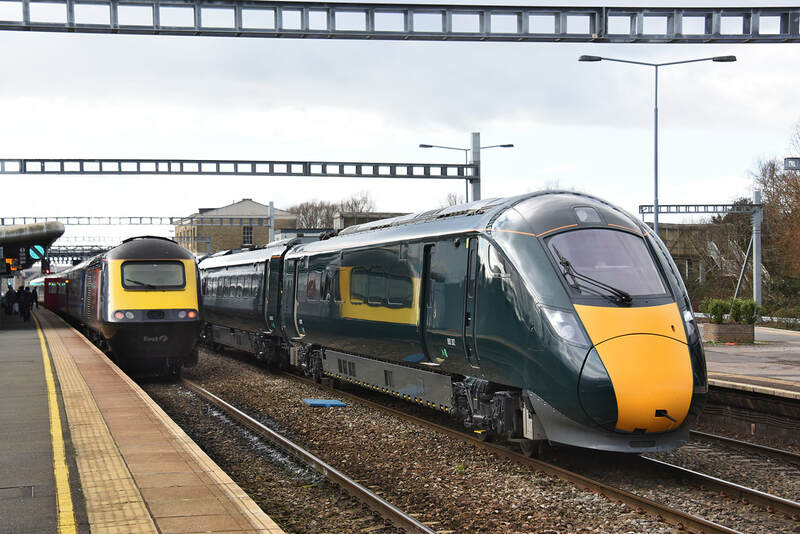 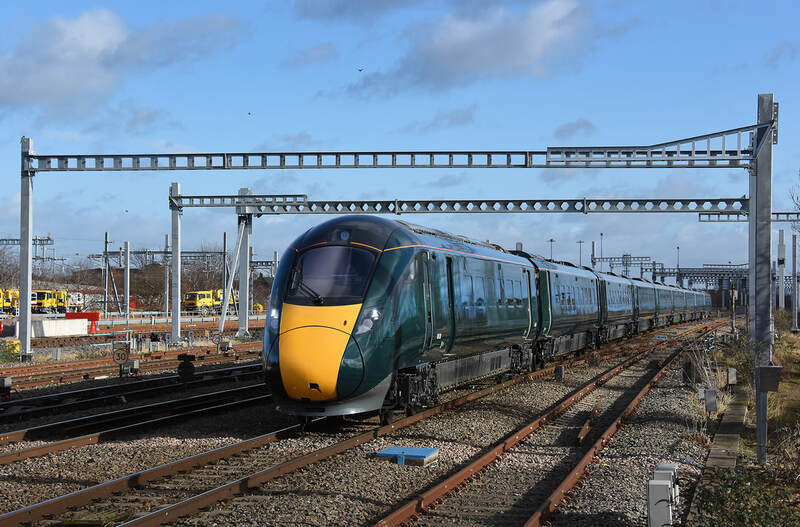 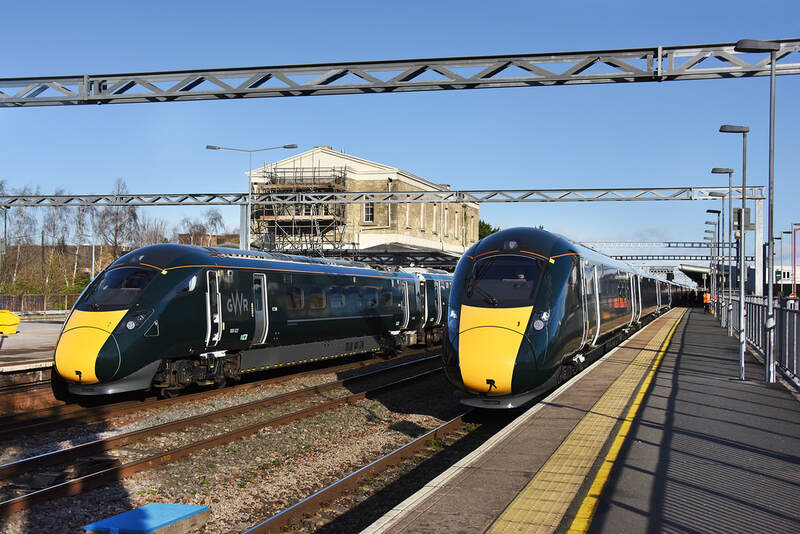 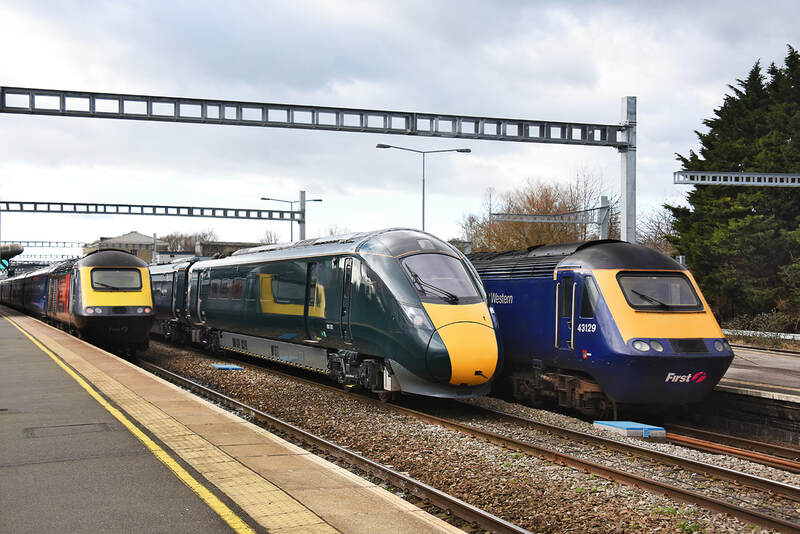 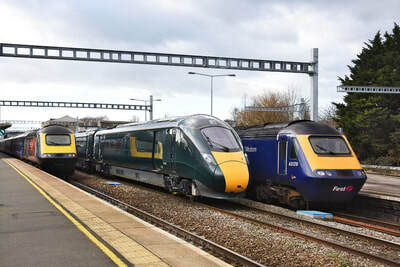 New meets old at Swindon on 1 February 2018. 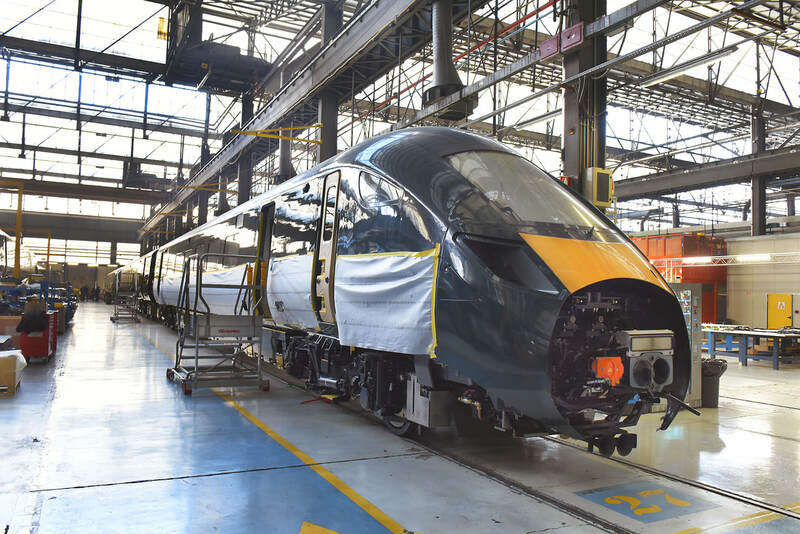 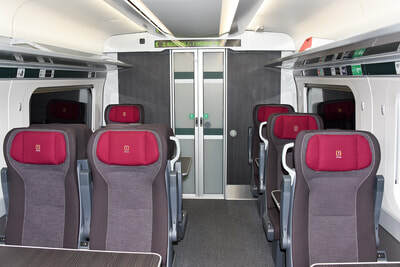 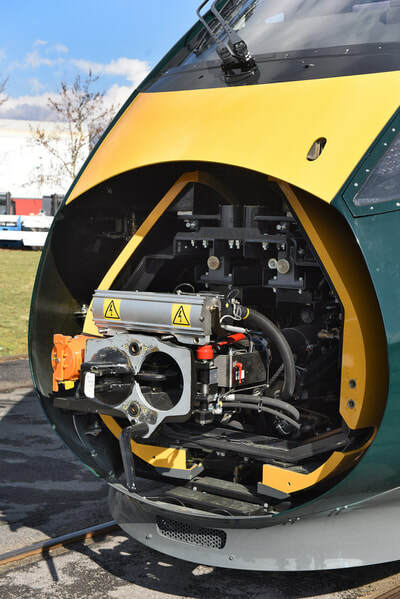 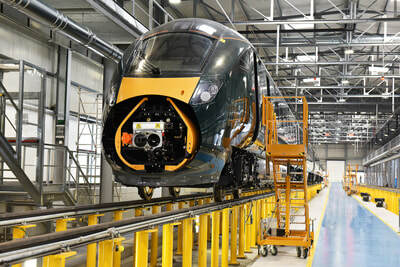 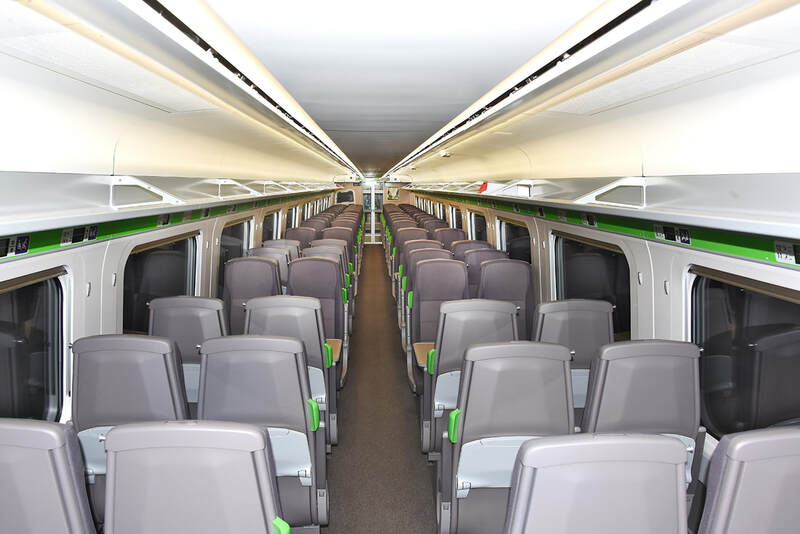 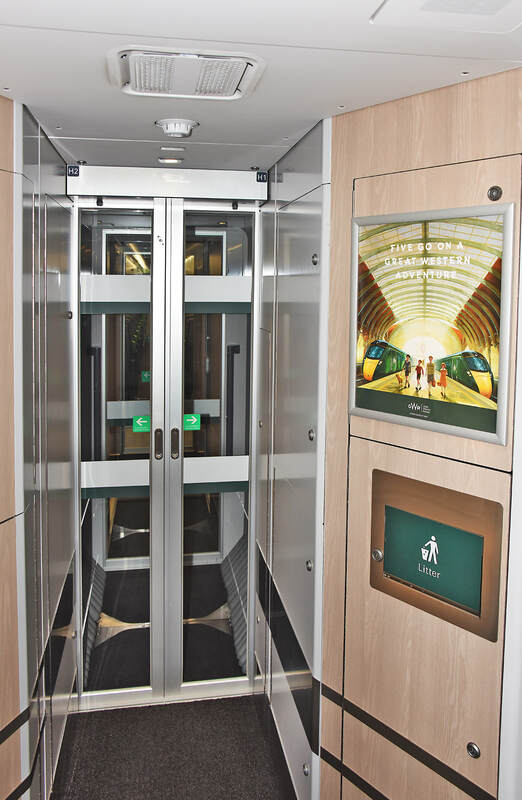 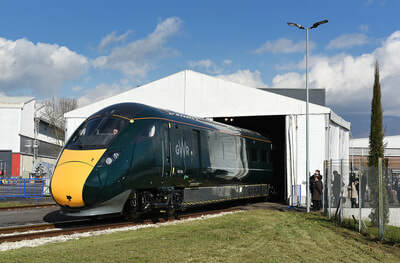 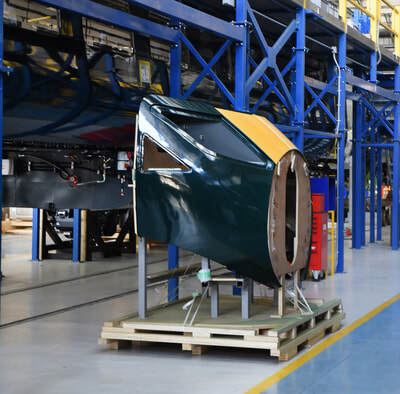 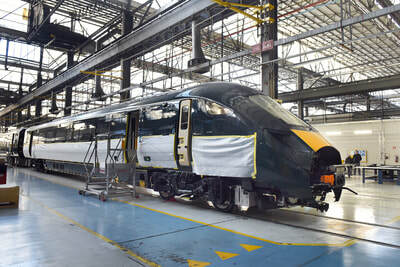 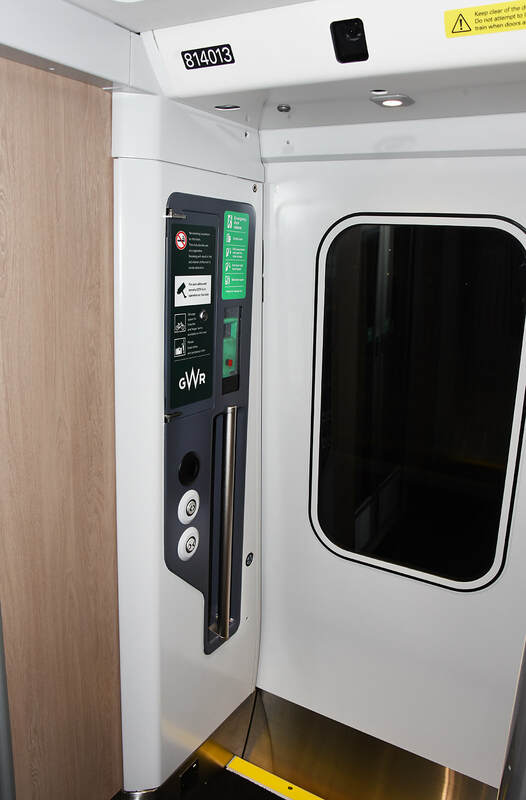 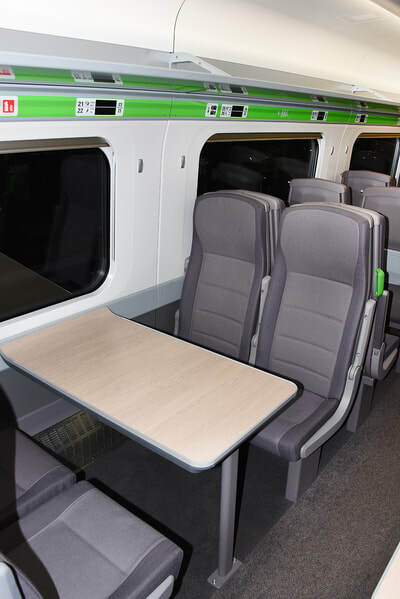 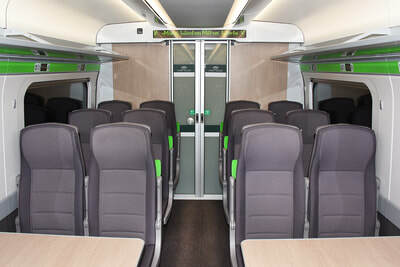 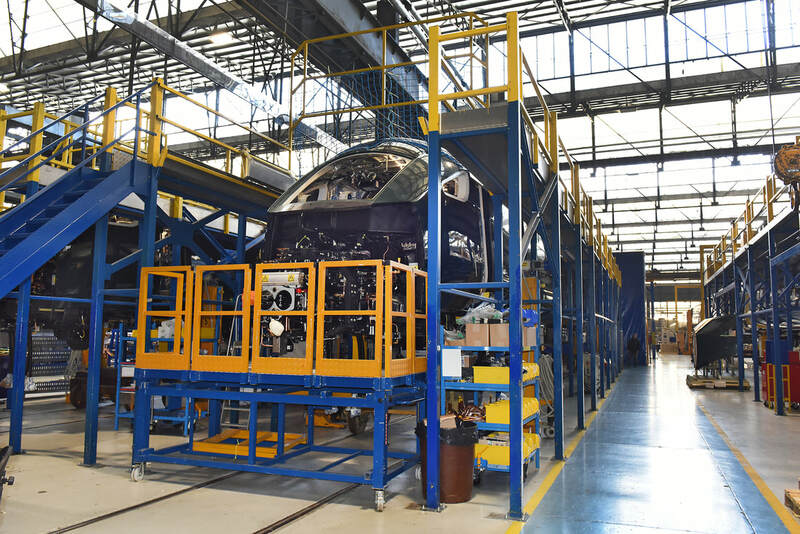 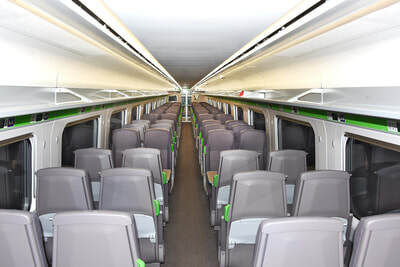 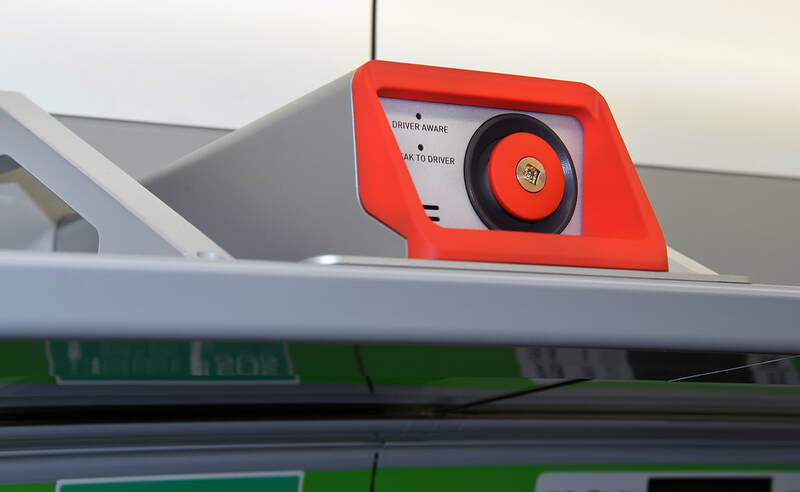 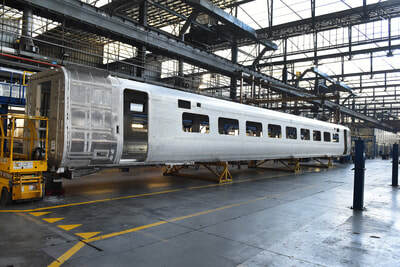 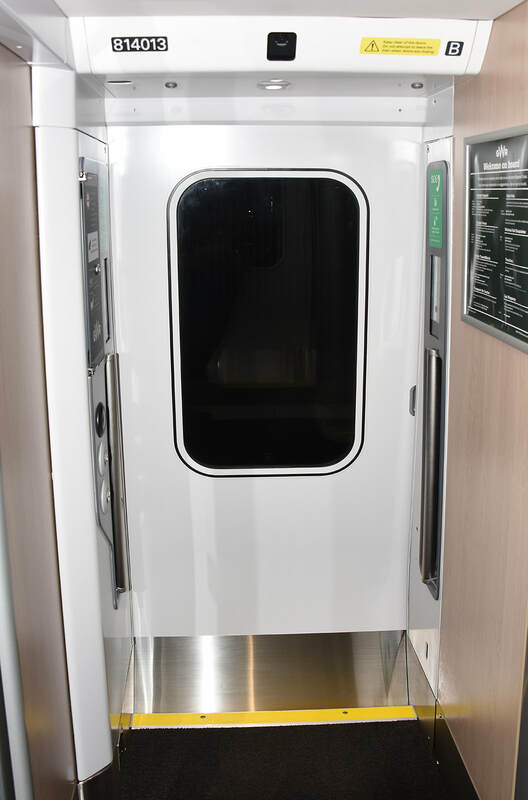 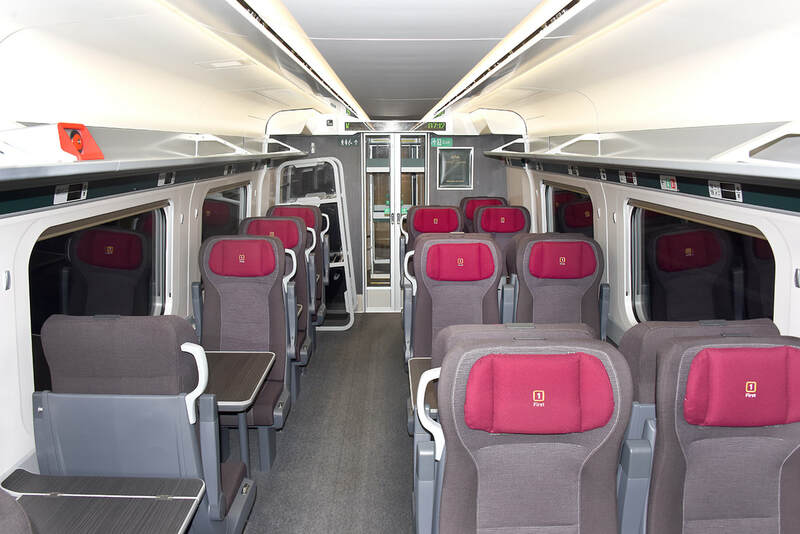 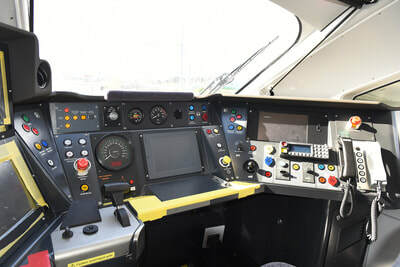 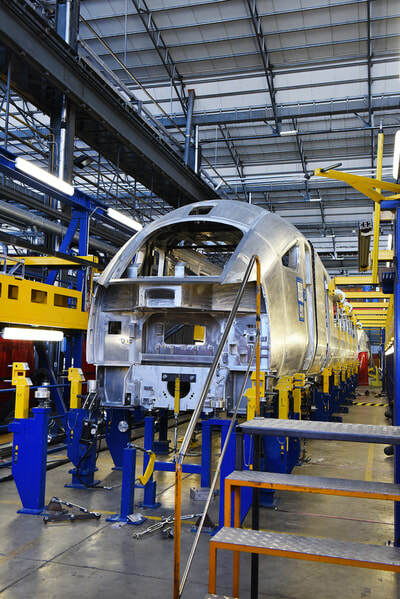 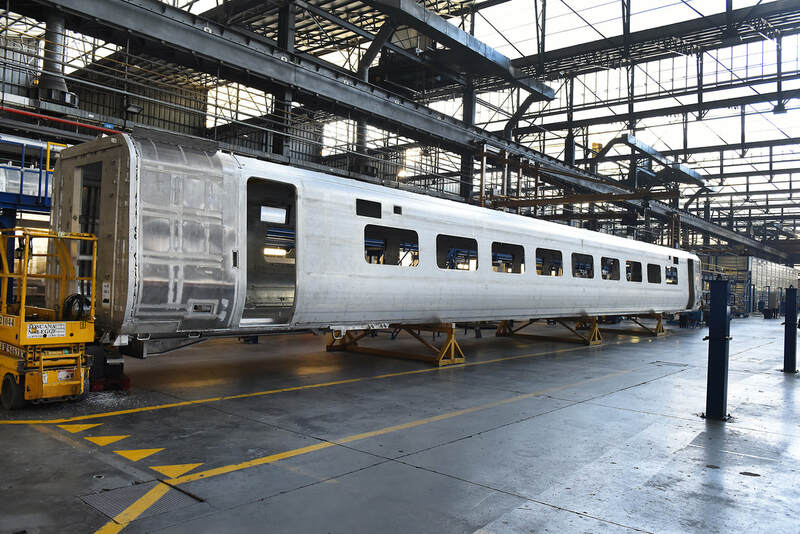 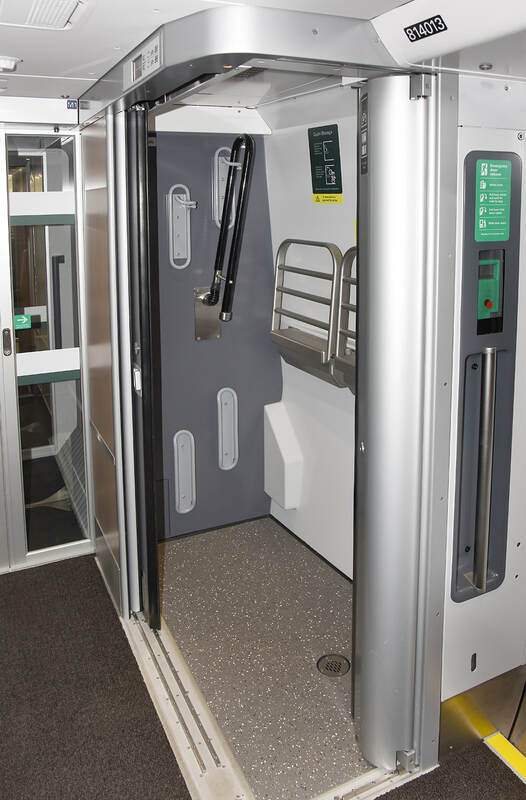 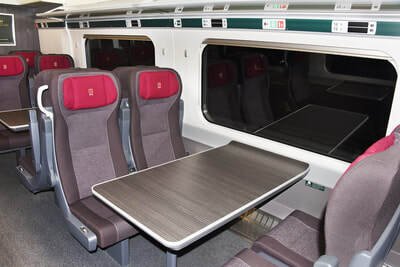 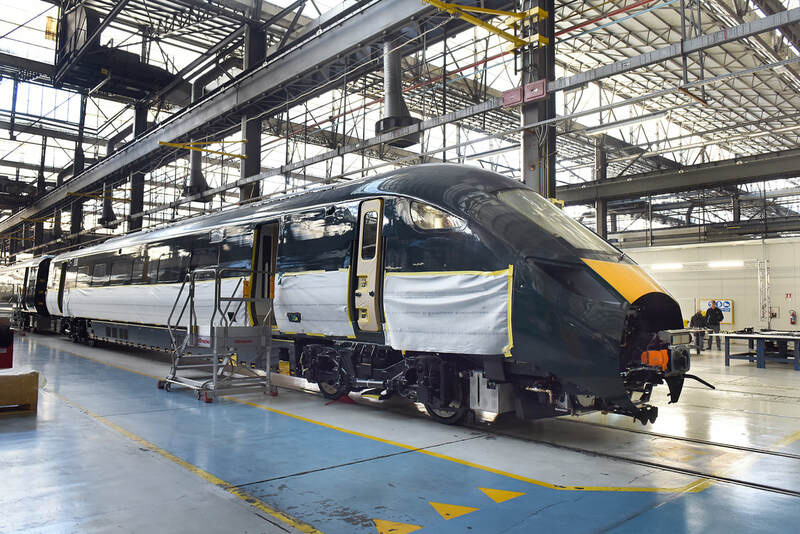 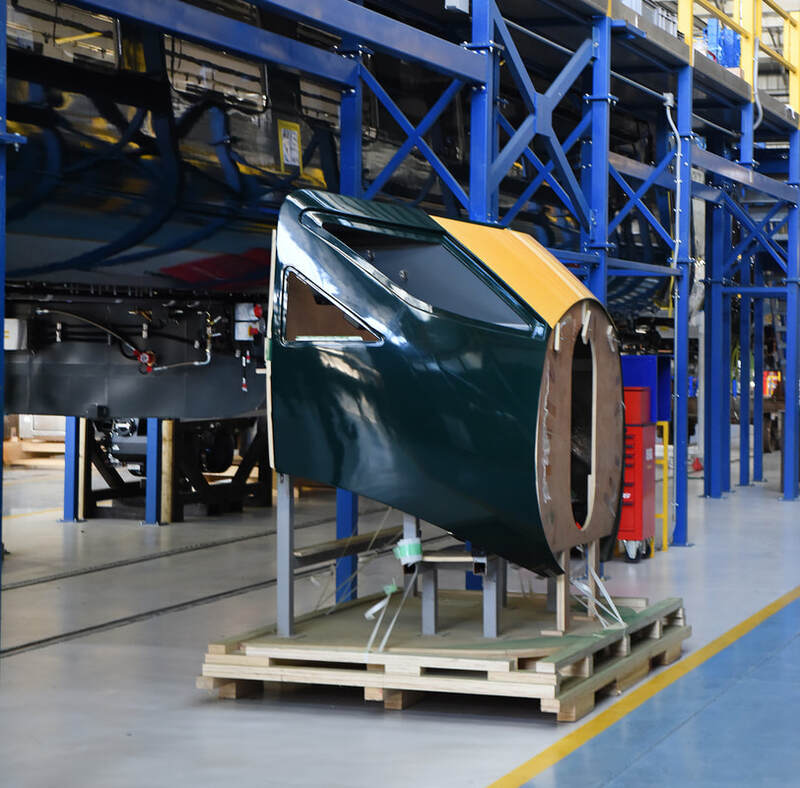 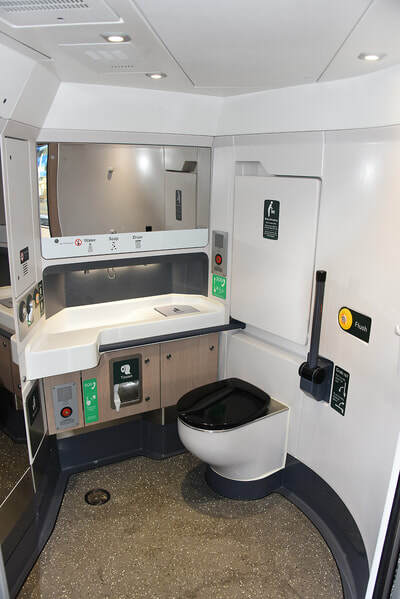 Class 800 No. 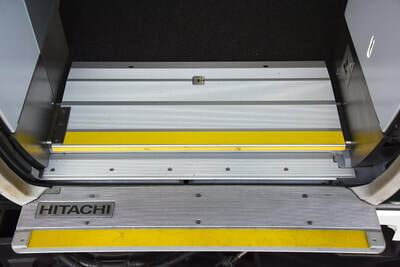 800018 leads set No. 800009 forming train 1B37, the 13.15 Paddington to Cardiff Central, while on the up, Class 43 No. 43183 brings up the rear of ttrain 1A19 the 13.01 Weson-super-Mare to Paddington.